Built to haul big loads over many miles, the High Sierra® Classic 2 Series Appalachian 75 Frame Backpack helps campers haul large amounts of gear easily. Built for strength and comfort, the Appalachian 75 handles big loads in its 4,580 cubic inches of storage with stability and comfort. The pack's dual contoured aluminum stays adjust to match the contour of your back for a customized fit and strong base for larger loads. Padded with high density foam, the Appalachian 75's molded foam back panel features large AIRFLOW channels to keep you cool and dry. The ERGO-FIT shoulder strap harness adjusts to fit different sized torsos for perfect fit and leverage. Adjustable load lifters on the harness work with the pack's sternum strap, padded waist belt, and adjustable side and bottom compression straps to ensure load stability while moving. The pack's easy-to-use top load design features a gusseted drawstring closure and adjustable top lid to protect the gear inside. A hydration compatible design, the pack includes an internal hydration reservoir sleeve and dual exit ports for tube (reservoir not included). 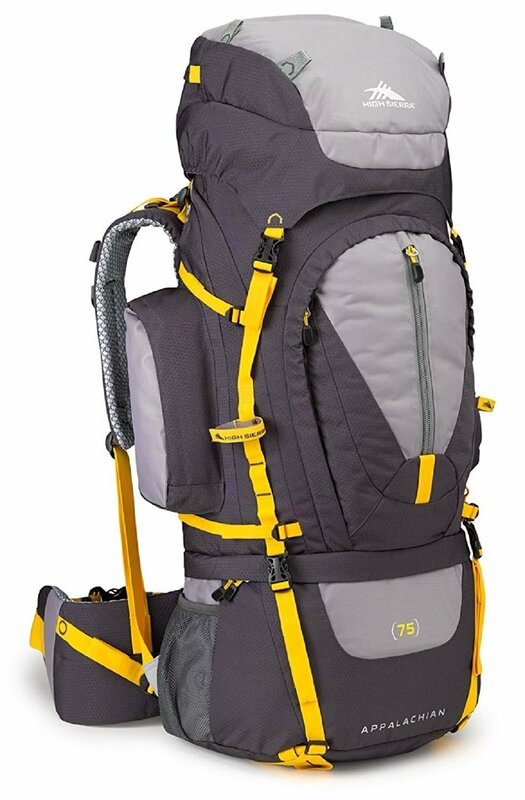 Dual mesh side pockets, side webbing daisy chains, and soft lashing hardware helps you handle additional gear. Drop-bottom sleeping bag compartment with divider. Made of durable 1680D Ballistic nylon and Mini-Hexagon Ripstop Duralite polyester. Dimensions: 34"L x 14.25"W x 10.25"H.